I interrupted my current reading with something special for my ordination: Pope St. Gregory the Great’s Book of Pastoral Rule. With his description of the ideal pastor and rather cutting remarks on the temptations to which clergy are prone, it was a humbling read to surround the days leading up to my ordination as an Elder in Full Connection. I am struck by how much this is the opposite impulse of many churches today, including that of my own (United Methodist) tribe. Denominational authorities tell us everywhere that we need more young clergy, and many claim (or at least imply) that our time to ordination should be faster/simpler/easier. I have my own thoughts on why “The Process” is so complex, and why it should be so in every corner of the Body, but here I am mostly interested in the age factor. St. Gregory regards it as a vice that one would seek to preach at too young an age; we seem to act and think the opposite. Mirroring, rather than challenging, the cultural assumption that everything new is good and the way of the young is the way it should be, the church too quickly and too often runs after the young like a drunk stumbling for a lamppost. Thus the values of the market win out over wisdom, and we effectively despise those whom most healthy societies have revered. I am almost 31. I am about to enter my 5th year of full-time ministry, and I have much to learn. I have no illusions that I have achieved the heights of pastoral wisdom or preaching excellence, and I am horrified that anyone my age or younger would already be showing interest in the Episcopacy. Wisdom is the fruit of years, and more specifically years of prayer, study, discernment, experience, and some serious grace. While the young should be cultivated for spiritual leadership, and I understand that the investment the church makes via ordination (if for no other purpose than the rather mundane reasons of insurance and other benefits) means that younger clergy may be preferred by the system, we who are young should not seek to speak of God too soon or too lightly. We should not presume that being young gives us some kind of monopoly over leading well or preaching with power and conviction. In short, we could use a dose of Gregory’s advice: don’t be in a hurry to speak the words of salvation, to presume to speak for God. Jesus didn’t get going until he was 30. Don’t be too proud to walk before you run, or to sit in the chair of the apprentice before assuming the role of the master. I’m torn on the idea of Rethink Bishop. On the one hand, I agree with you. For someone to state they feel called to bishop so young seems to be missing some humility. And I know I still have much to learn in how I respond to all four of my vocation vows to word, sacrament, service and order. On the other hand, isn’t part of why the church is seeking after young clergy because the church recognizes that institutional thinking isn’t getting the job done and we need a fresh perspective? I’ll be the first to admit that I’m still mostly an institutional thinker but I appreciate their creativity and new ideas. If we need new ideas at the ground level, why not also at the top? I think the disconnect is in assuming that younger = fresh/non-institutional/etc. 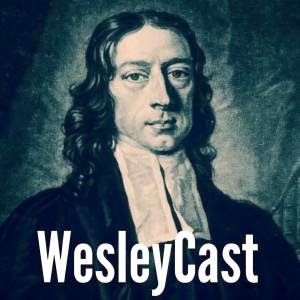 A 22 year old coming out of (typically) a large UM church and maybe a Wesley Foundation is likely to be every bit as “institutional” as someone who has been in the system a long time. A 50 year old who is recovering from drugs and alcohol and gets a call to ministry, or a business executive who turns down 6 figures to go to seminary, will probably have more of a fresh perspective than the generic young person. And besides, isn’t the desire to think “non-institutionally” likely to just create another form of groupthink? It’s like advice to “think outside the box”. It just creates another box. And I just can’t comprehend someone in seminary or a first appointment already talking about the episcopacy. That should be a disqualifier (which is what they say about the Papal conclave – if you go in wanting to be Pope, you won’t come out the Bishop of Rome). I suspect the crozier is best wielded by those who do not seek it or think themselves worthy of it.